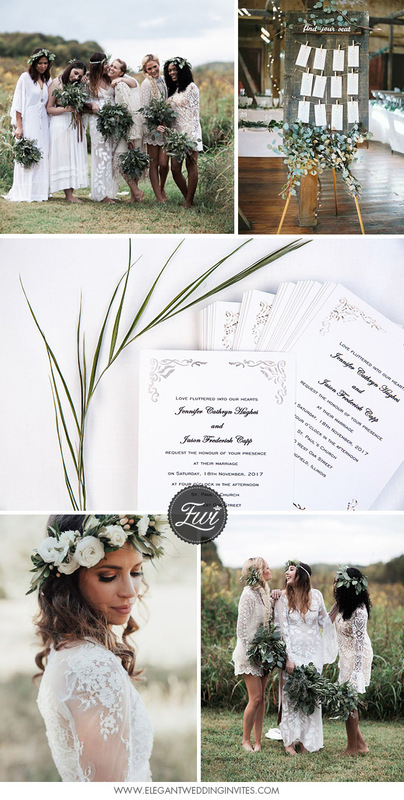 The natural white and greenery color palette has become popular since the growing popularity of organic weddings. I love the simplicity, the romance,and softness of the combination of white and greenery. 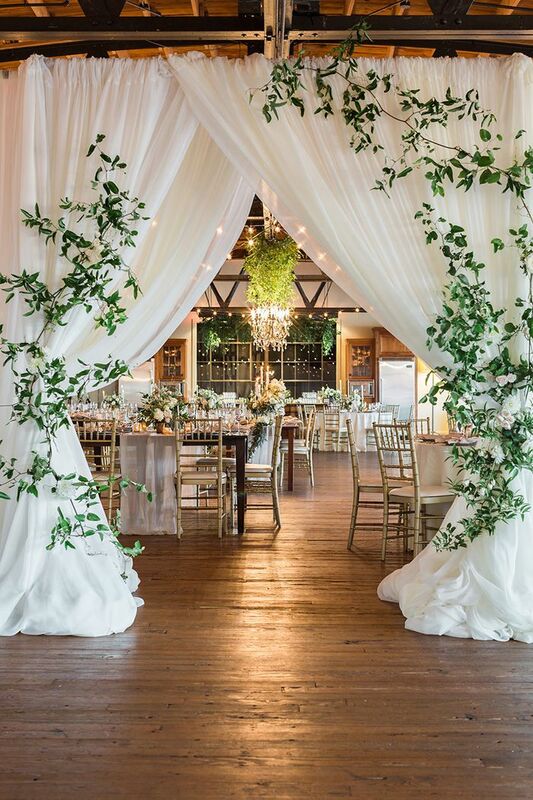 Organic white weddings are popular for any season, and they look beautiful with any greenery you prefer. 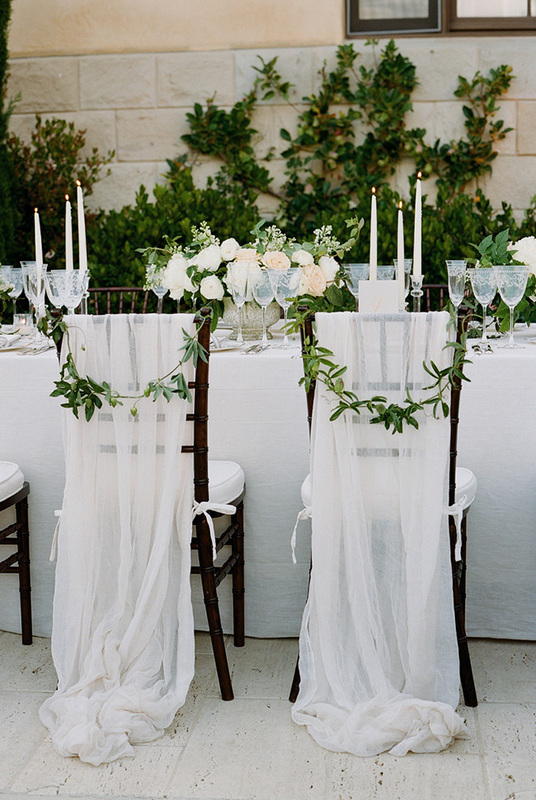 Here we share white and greenery wedding ideas to get you inspired. Take a look! The focus of the ceremony IS the altar area, so why not go all out? Plus, a lot of pictures will take place in this very spot before and after the wedding, so it’s money well spent! A little or a lot depends upon your taste, but you can’t go wrong showing this area a little love! The bulk of your time will be at the Reception, so make sure you treat it accordingly. The beautiful touch of greenery goes a long way so even a single sprig will make a huge impact! Your guests are going to hang out at their tables and the dance floor, so make sure they have something pretty to look at! A combination of low and tall looks always makes it visually interesting and if you are using longer tables, they beg for greenery! Setting the tone 6-8 weeks before the big day starts with your invitation! The options are practically endless and it lets your guests know what they can expect on your big day. 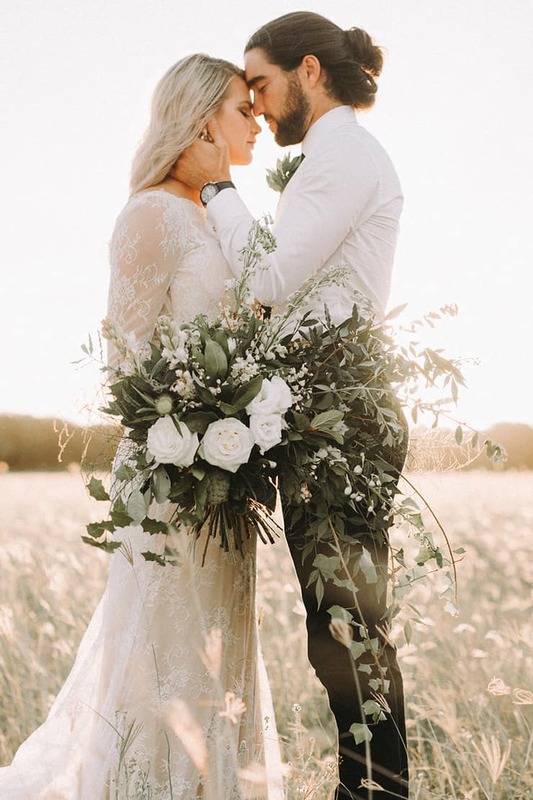 If you are using greenery, your bouquet should reflect that and adding in touches of fresh floral in crisp whites only adds to the romance and the glamour. 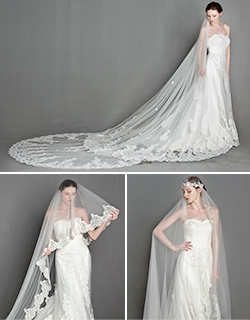 Keeping the shape a little open and airy also helps this look really come to life! 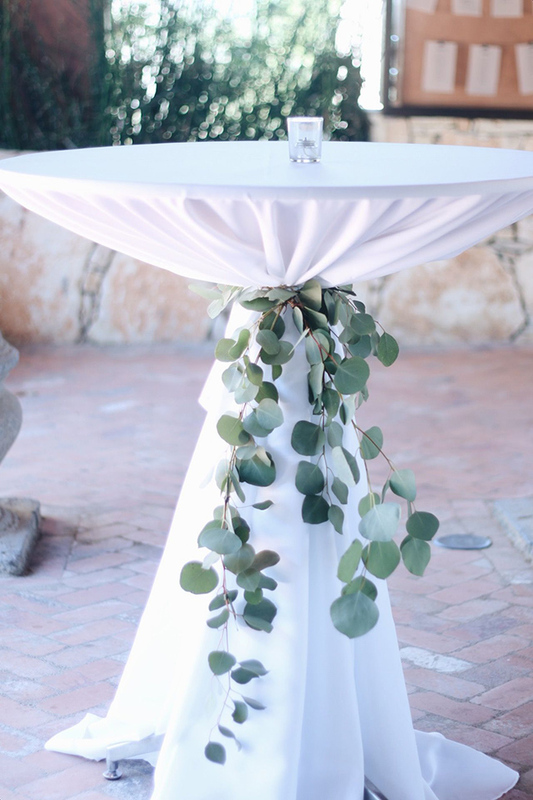 Greenery can go the distance for whatever theme you have in mind and that’s because it’s timeless and classic and chic and modern and THAT’S a hard thing to find in the wedding world. A pure white, iced cake is the perfect backdrop for a little or a lot of greenery. And the best part, greenery doesn’t wilt easily, so your cake will look as fresh as it did when it was coming out of the oven! 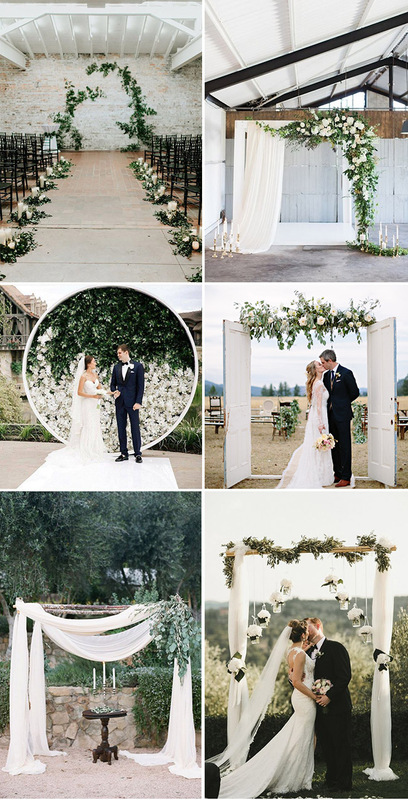 This entry was posted in 2018 wedding trends, Greenery Wedding Colors, greenery wedding ideas. Bookmark the permalink.